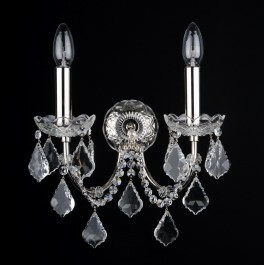 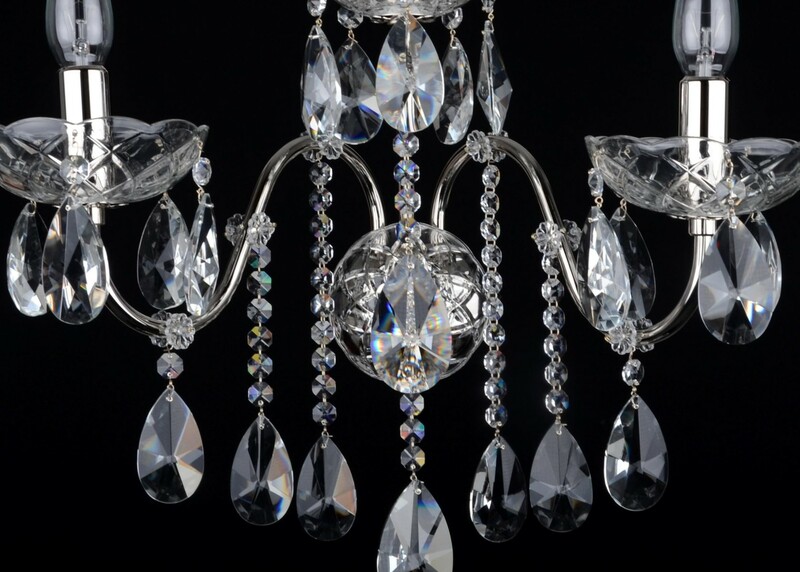 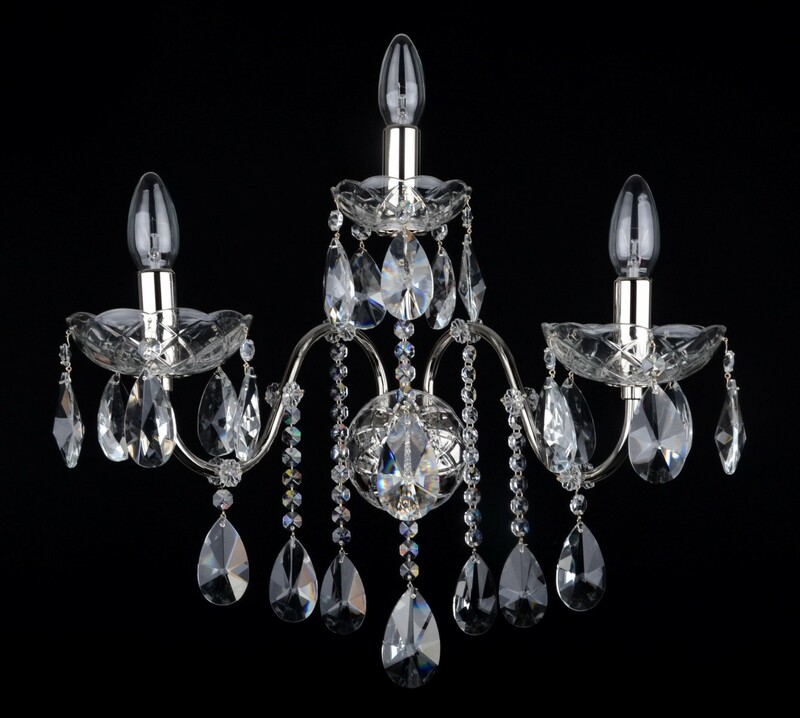 The 3-Arms crystal wall light with cut crystal almonds and glossy silver metal arms. 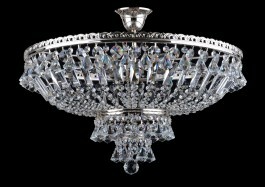 3 Arms - 3 x E14 bulbs 40 watts. Dimensions (W x H x D): 45 x 41 x 32 cm/ 18.4"x16.7"x 13.1"